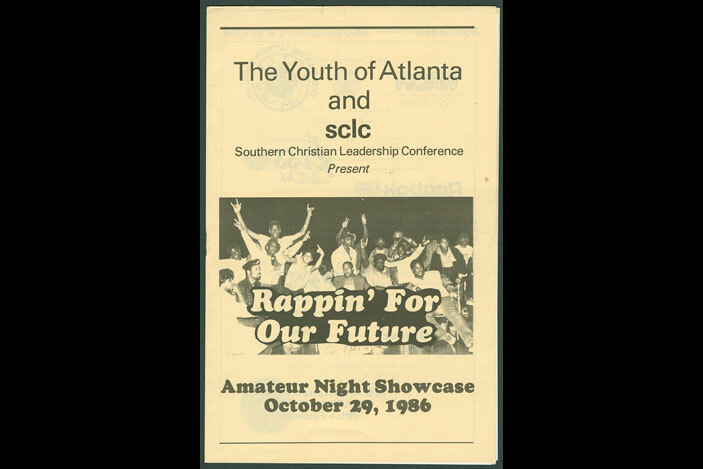 Images from the Southern Christian Leadership Conference archive. • an opening celebration at 6 p.m. featuring remarks by SCLC leaders. Ask Carol Anderson, associate professor of African American studies, about the Southern Christian Leadership Conference (SCLC) archive housed at Emory’s Manuscript, Archives and Rare Book Library and its potential to generate new knowledge, and you’ll get an earful. Anderson is one of the curators of a wide-ranging new exhibition on the SCLC archive set to open at Emory’s Robert W. Woodruff Library Feb. 21 (the archive itself opened to scholars and researchers last spring). She says the archive "touches on every facet of the struggle for equality." "No matter where you go, you are able to touch a piece of American and international history," says Anderson of the archive’s vast files, which comprise more than 1,000 boxes of materials. Included are correspondence, reports, memos, notebooks and meeting minutes, as well as photographs, flyers, and audio and video recordings. For example, "scholars who are trying to understand labor struggles can see the way SCLC intervened in issues such as the Charleston Hospital workers strike," she says. "The work that SCLC was trying to do in dealing with millions of people who did not have access to quality health care or insurance is an issue we’re still dealing with today. 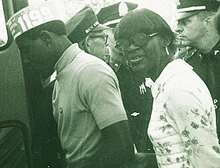 You can see how SCLC was operating and devising strategy on this," she says. For researchers working on legal topics such as the death penalty, there are records of SCLC getting involved “knee-deep in a death penalty case, dealing with a young man who had a very low IQ but was sentenced to die," says Anderson. "These records are invaluable to understanding the evolution of the issue." For those who think that the black church is and always has been largely anti-gay, says Anderson, the SCLC’s record of engagement in the 1980s on issues of HIV/AIDS contradicts that narrative. "What does this mean when you have the SCLC—Southern Christian Leadership Conference—waging this battle to provide quality healthcare, awareness and prevention education for the communities that are vulnerable to HIV/AIDS?" asks Anderson. "Obviously, this is a game changer for researchers." 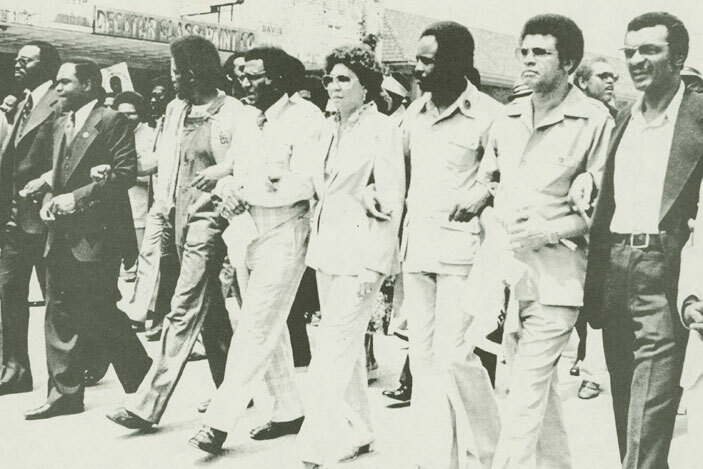 In the area of international relations, Anderson cites SCLC records of the Rev. Joseph Lowery's meeting with then-Palestine Liberation Organization leader Yasser Arafat. "What does it mean?" she asks. "The documents are clear; the Jewish community was outraged. The SCLC said: 'Our vision of God means we've got to have this conversation.' The SCLC papers bring a new depth of understanding to these issues." 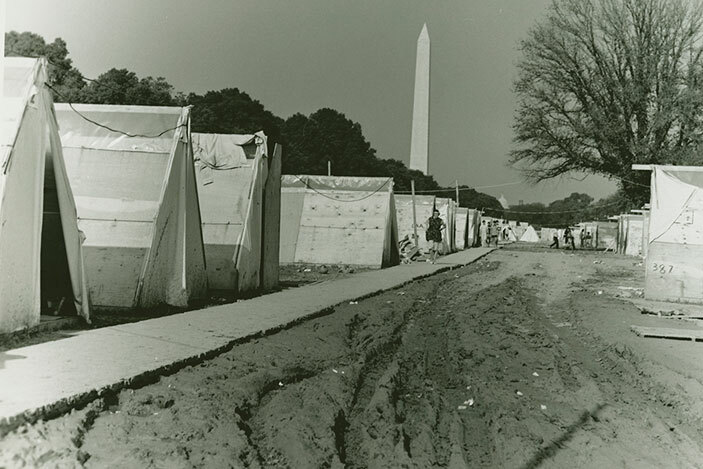 One of the most fascinating parts of the archive for Anderson, the bulk of whose research is on the NAACP, is the evolution of the SCLC after the great legal triumphs of the 1960s: after the Civil Rights Act of 1964, the Voting Rights Act of 1965, the Fair Housing Act of 1968. "How do you deal with racism when the signs come down?" asks Anderson, referring to the end of Jim Crow laws in the South. 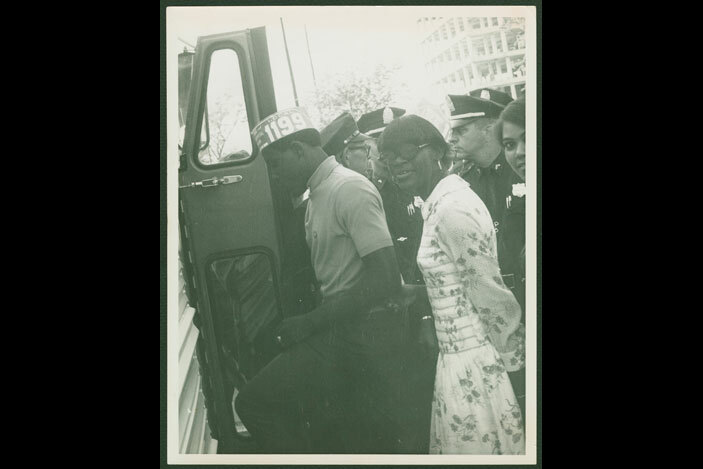 Photograph of protesters being arrested during the Charleston hospital workers strike in South Carolina, 1969. For scholars such as Anderson, and for researchers in political science, sociology, history, religion and law, the SCLC archive will reveal how a civil rights organization takes on human rights when the initial issue of Jim Crow has dissipated, "but racism and the way it operationalizes itself is still there. The SCLC papers help us understand that." The archive already is getting noticed by scholars abroad, says Anderson. Peter Ling of the University of Nottingham, England, noted in a recent study he co-authored on Martin Luther King Jr.'s financial backing that his study was published before the cataloging of the SCLC archives was complete, but that researchers can look forward to many insights included in the archive's extensive financial records—some 50 boxes of them. "By looking at these rich resources of the past," says Anderson, "we will have a much better understanding of what led us here today." 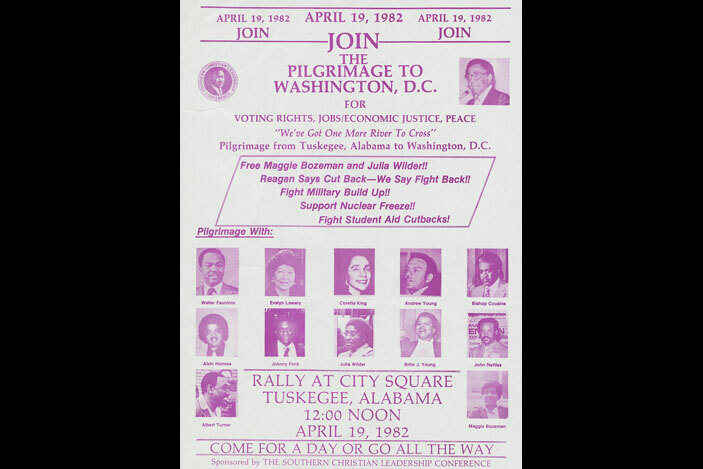 The SCLC exhibition, titled "And the Struggle Continues: The Southern Christian Leadership Conference's Fight for Social Change," will run through Dec. 1 in the Schatten Gallery of Emory's Robert W. Woodruff Library. An opening celebration, free to the public, is set for 6 p.m. Friday, Feb. 22 and will feature remarks by Rep. John Lewis and SCLC leaders.